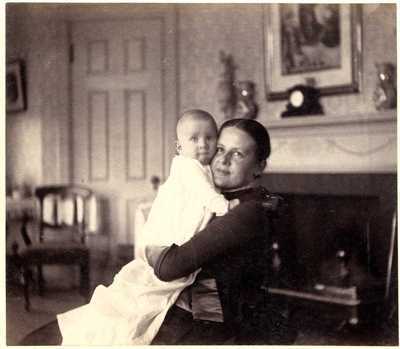 "Woman and Infant from the Dutton Family Papers "
This black and white photograph, which appears to be of mother and child, is from the Dutton family papers. The Dutton family of the Ellsworth area was related to the Briggs and Craig families of Augusta, Maine. No other information or date is provided on the photograph.